Hidden away in the very darkest corners of countries that would rather not acknowledge their existence, there is an army of children whose voices are never heard. They can be raped, tortured, beaten and murdered by adults who supposedly represent the law, yet enjoy almost total immunity from it. Children are tortured in police custody. They are held in prisons in inhuman and degrading conditions. They are denied the due process which should guarantee them fair trials. They are held for years without charge. They are forgotten by the world that walks past the bars of their existence. 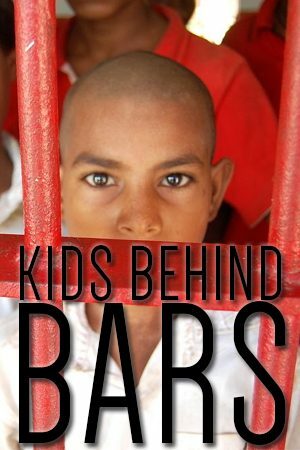 With unprecedented and unique access to juvenile prisons around the world, this film looks at the experience of incarceration for juvenile offenders in countries as diverse as the U.S.A. and India, the UK and Brazil. Released in 2001. 99 min. Directors: Brian Woods & Kate Blewett. Documentary film.